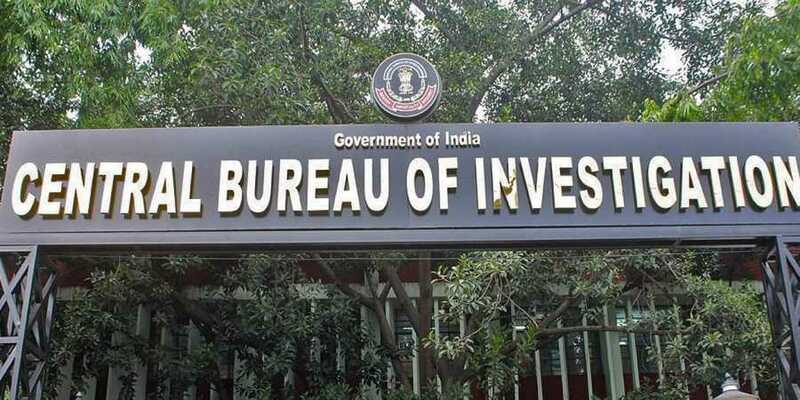 New Delhi: The CBI has registered a case of alleged encroachment of defence land worth crores of rupees by hotel owners in the sensitive Badami Bagh cantonment area in Srinagar, officials said on Saturday. 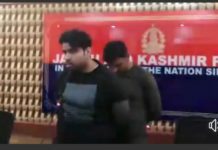 The agency has booked then Chief Executive Officers of the Cantonment Ajay Kumar Choudhary and B K Kaul, Junior Engineer Tariq Ahmad Khanday, Tramboo Joinery Mills owner Muzaffar Rashid Wani, owner of an under construction hotel Tariq Ahmad Wani and owner of Soloman Heights hotel Muneer Ahmad Bakshi, they said. The agency had registered a preliminary inquiry in the case on November 27, 2018 which revealed that officials of the cantonment board allegedly facilitated the hotel and mill owners in grabbing defence land. The inquiry established that Hotel Solomon Heights, under-construction hotel of Tariq Ahmad Wani and Tramboo Joinery Mills were standing on defence land, the officials said. Their lease deed had expired and further lease deed was executed without permission of defence authorities, which was illegal and unauthorised, the officials said. “The concerned JE and CEOs submitted false report being fully aware about the status of land and facilitated the accused private persons to obtain permission from the board on the defence land by putting the status of land as private in Tramboo Joinery Mills,” the CBI alleged. The FIR accused Kaul (now retired), Chaudhary and Khandey of entering into criminal conspiracy to facilitate illegal occupants, causing huge loss to the defence ministry. It is alleged that land measuring 11 kanals and nine marla was given on a 20-year lease by the defence authority to Indraj Sharma from 1954 to 1974. Sharma allegedly leased out the land to one Abdul Majid Bakshi in 1960 on which Hotel Solomon Heights was constructed. “The value of the said land is in crores as it is on the highway at Sonwar area in Srinagar which is very posh and a secure location in Srinagar. 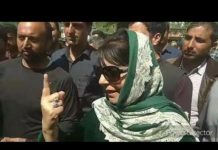 It is presently occupied by Muneer Ahmad Bakshi, son of A M Bakshi, and was constructed on defence land and its lease already stands expired,” the FIR alleged. After the expiry of the lease deed, nothing was paid to the defence authority by the illegal occupants and the officials concerned, including Khanday, did not take suitable action against the owner, it alleged. The lease was also not extended by the officials, causing a huge loss to the defence ministry, it said. In the case of the under construction hotel, the agency alleged that Durganag Trust president P N Takoo illegally leased out the land to Tariq Ahmad Wani. The preliminary inquiry found that the lease of the Trust through Takoo had already expired, ruling out any question of further lease to Wani, but the officials did not stop fresh construction, facilitating the illegal occupation. The agency said Tramboo Joinery Mills is also on the land of Durganag Trust for which lease was allegedly expired, but the trust executed a lease deed to Wani in 2005. 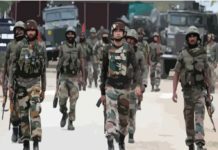 The FIR alleged that Wani was not an authorised occupant for obtaining any kind of permission for repair, but then CEO of the Cantonment Board B K Kaul granted the same to him. A show cause notice was later issued by Kaul for alleged violation of permission. Two years later, Wani’s request for grant of license was rejected by then CEO Harendra Singh. In the mean time, Ajay Chaudhary joined as next CEO. A fresh request for grant of license concealing the fact that the mill was illegal construction was put up before it, the FIR alleged. The permission was granted subject to conditions laid down by the board in 2009, it said. “Khanday and Chaudhary abused their official position in connivance with Muzaffar Rashid Wani through his attorney holder Habibullah Mir and certified that the land in question was a private land,” it alleged. The CBI alleged that Khanday, Kaul and Chaudhary conspired with Wani and facilitated new illegal construction on the defence land.